The Maritime Aquarium is proud to have participated in 2017-18 in a sea turtle loan program based at the North Carolina Aquarium in Pine Knoll Shores, whose staff and volunteers monitor turtle nests on beaches to look for "stragglers" – newly hatched turtles that, for various reasons, didn't make it into the sea. 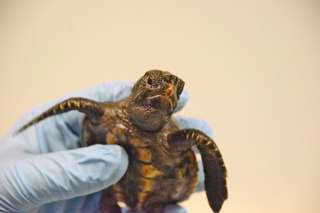 These tiny turtles are rescued, and – through the loan program – some were raised for a year at other institutions, such as The Maritime Aquarium, before being returned to North Carolina a year later for release into the Atlantic. Having a baby sea turtle to foster for a year allowed The Maritime Aquarium to engage in inspired conversations with guests about sea-turtle conservation. And, for our particular turtle, it went into the sea in October 2018 much larger than when it hatched, and thus with a much greater chance for survival. Alas, 2018 was the final year for this special loan program. The Maritime Aquarium at Norwalk partners to provide accurate data for water quality in Long Island Sound through several collaborations. 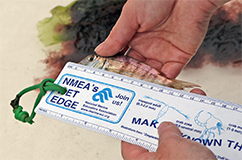 This includes water quality and climate work conducted with the MYSound program of the University of Connecticut, gathering live data on water-quality parameters through a sonde at The Maritime Aquarium dock. In 2017, The Maritime Aquarium also began doing bimonthly sampling out on Norwalk harbor through participation in the Unified Water Study with Save the Sound. The Aquarium and other participants measure nutrient data, oxygen, temperature, salinity, and chlorophyll levels in various harbors of the Sound. This is all part of important continued monitoring and synthesis of Long Island Sound water-quality data collected by the Aquarium and partners to report changes and recommend best practices. It’s the quantity of plant and animal species found in an environment. (The word is contraction of “biological diversity.”) The more diverse a habitat, the better chance it has of surviving a change or threat to it, because it is more likely to be able to make a balancing adjustment. Habitats with little biodiversity (e.g., Arctic tundra) are more vulnerable to change. The Long Island Sound Biodiversity Database is a searchable web resource to monitor species trends on Long Island Sound. Partners collecting data include The Maritime Aquarium, SoundWaters, SoundKeeper and the Bridgeport Aquaculture School. Biodiversity monitoring is important to identify data needs for population estimates for species of importance to the Sound, both native and invasive. To underscore the importance of continual sampling, current TMA staff have identified invasive species in the Sound in the past that are potential threats to aquaculture assets. Additionally, using TMA’s long-term trawling and collection dataset in conjunction with other publicly-available data sets from the LIS, TMA researchers will analyze the patterns of change of assemblages of animals in the LIS with those in surrounding waters to contextualize how this environment is changing and how native species are shifting their geography to combat it. For more information on how to use the database or involve your group or class to collect data, please contact Dr. Dave Hudson at (203) 852-0700, ext. 2304. 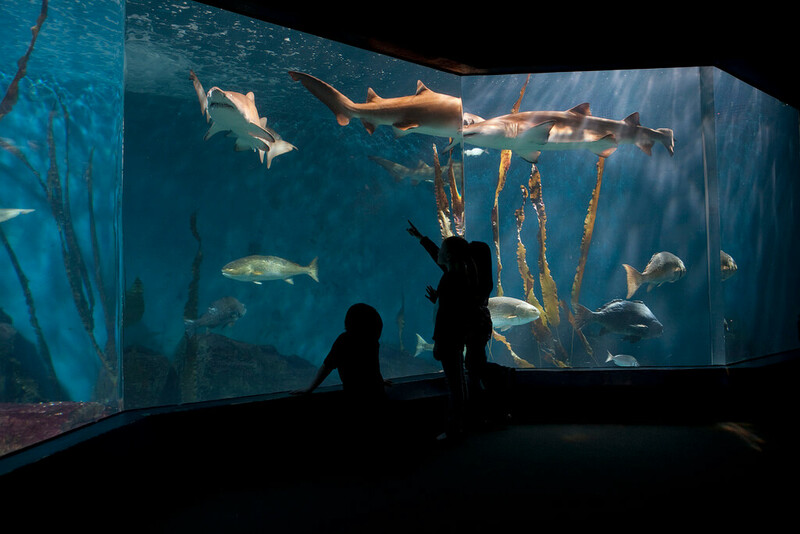 The Maritime Aquarium at Norwalk is working to improve the health of wild populations of sharks by collaborating with SEZARC and a consortium of zoos and aquariums to better understand how sand tiger sharks reproduce, both in our facility and out in the wild. Critical questions about where they go and what they do during different times of their lives are being answered through partnering to track these animals in the wild. This species is doing well in the U.S., but like all sharks, have populations that are not doing so great in places like Argentina, Australia, and South Africa. The Maritime Aquarium at Norwalk is working to support sea turtle conservation by raising awareness about these majestic seasonal visitors. By supporting conservation in the Atlantic Ocean through our Loggerhead Loan partnership with the North Carolina Aquariums, and early sea turtle nursery work in the Caribbean, The Maritime Aquarium is driving forward partnerships that will be critical to public education, outreach and rescue that will help save these species. In the United States, horseshoe crabs have historically been exploited for fertilizer, bait, and now biomedical applications. While the fertilizer market has dropped off, there are still threats to this important species, whose eggs are used by migratory birds during their long flights. The species in Long Island Sound, Limulus polyphemus, is not in great shape locally. As such, The Maritime Aquarium is enhancing its efforts to conserve this species through enhanced field tracking, greater education, and support of better animal husbandry practices and breeding. A signature program for The Maritime Aquarium is the horseshoe crab tagging and tracking program, run through its partners at Sacred Heart University and the U.S. Fish and Wildlife Service. Click here to see how you can become involved.